We'd love it if our rings could be the universe's most powerful weapons, like DC Comics' headstrong Green Lantern a.k.a test pilot Hal Jordan! The Green Lantern's ring allows him to create whatever he wishes out of pure energy, with its power limited only by his imagination and will - the only catch is that Hal must address his childhood trauma and face his fears head on if he is to truly master his ring's power. 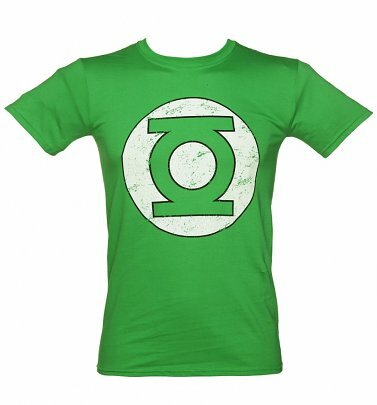 We may not be able to offer you a magical ring, but you can certainly channel some super POW-ers with our official Green Lantern T-Shirts and gifts - from a classic logo tee to Justice League homewares, paying tribute to more of DC's finest superheroes, Superman, Wonder Woman and Batman!